Chicago Department of Public Health (CDPH) announced today that 65 cases of E. coli have been linked to Carbon Live Fire Mexican Grill, a restaurant with two Chicago locations. The 65 cases now confirmed count for more than double the number initially reported by CDPH (25). Chicago locations are in Bridgeport and on the North Side; however, the North Side location reopened after health inspectors found the restaurant to be “safe” and “clean.” The Bridgeport location remains closed at this time. The initial July 1st release by CDPH announced that the Department had both identified the outbreak of E. coli O157, also known as Shiga toxin-producing E. coli (STEC), and linked it to the Bridgeport location of Carbon Live Fire Mexican Grill. According to the Department, at least 25 cases of E. coli were linked to the outbreak at that time. In response to the CDPH findings, the owners of the restaurant closed both locations. They also decided not to participate in this year’s “Taste of Chicago” event. The initial release also indicated that a number of individuals had been hospitalized as a result of their illness, and local news stories interviewed at least one of those sickened from her hospital bed. Soon after, initial law suits were filed against the restaurant for sickening its patrons. 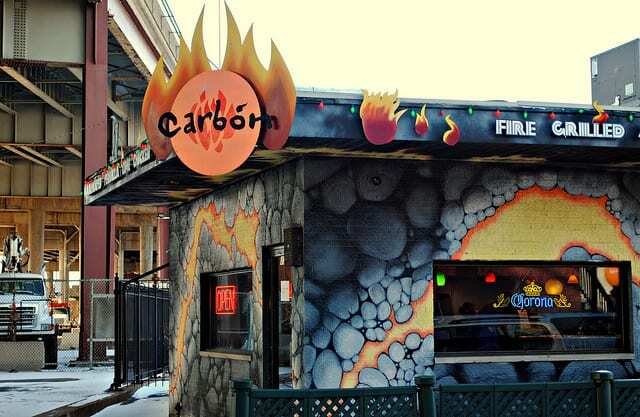 At that time, the North Side location of Carbon Live Fire Mexican Grill is open and operating, and according to CDPH, Carbon’s management has been “extremely collaborative” in the process. In the five days between July 9th and 15th, at least 11 additional cases have been confirmed. As of the 9th, the case total stood at 54; today, Health Department spokesman Matt Smith said that 65 cases had been tied to the restaurant. Of those 65 cases, a stunning 20 (31%) required hospitalization, indicating that a particularly virulent strain of E. coli is likely involved. Symptoms of a STEC infection usually begin to appear 3-4 days after being infected with the bacteria, but may appear as quickly as one day or as long as ten days after exposure. The most common symptoms of a STEC infection include diarrhea (which is often bloody), stomach cramps, and vomiting. If fever is present, it is generally low-grade fever and rarely reaches over 101 degrees. The illness typically lasts 5-7 days, and in most cases, individuals infected without medical intervention; however, some infections may be severe or even life-threatening. The young, elderly, and people with compromised immune systems are most likely to develop a severe infection. These groups also carry the highest risk of developing Hemolytic Uremic Syndrome (HUS), a complication often linked to STEC illnesses. Symptoms of HUS include fever, abdominal pain, fatigue and irritability, decreased urination, pale skin tone, and small, unexplained bruises or bleeding from the nose and mouth. If you or a family member became ill with an E. coli infection after eating at Carbon Live Fire Mexican Grill and you’re interested in pursuing a legal claim, contact the Ron Simon & Associates E. coli attorneys for a free case evaluation.